Dr. Nelson specializes in stellar astrophysics/science education. He is the former director of AAAS Project 2061, the education officer-elect of the American Astronomical Society, has served as Associate Vice Provost for research and Associate Professor of Astronomy at the University of Washington, and as a NASA astronaut. 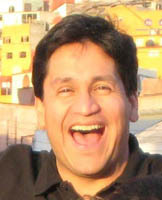 He teaches elementary science methods and practicum and graduate courses on science curriculum, astronomy, and physics. Dr. Nelson is responsible for the overall conduct of the project as well as participating directly in many of the project's activities. Dr. Landel is a biochemist with a heart for education. She packed up her beakers and Petri dishes almost ten years ago to work in science education, professional development, and education reform—and has never looked back! In 2000, Dr. Landel became a Fellow in the National Academy for Science and Mathematics Educator Leadership. In 2002, her first year at Western, she taught both majors and non-majors biology, as well as a Science Education Leadership course for K-12 teachers. She now serves as Project Director of the North Cascades and Olympic Science Partnership and is responsible for the day-to-day coordination of the partners and partnership activities. She also does consulting for Horizon Research, Inc., developing novel professional development embedded assessments to measure teacher learning. And, most recently, she's been invited to co-author the Facilitator's Guide to Curriculum Topic Study. Her current research interests include examining the impact of collaboration between higher education scientists and K-12 teachers on science learning and teaching at all levels. She is the mother of a ten-year old son who loves to play baseball, talk about baseball, watch baseball, and dream about baseball. She loves to cook—largely because she likes to eat—and run—also because she likes to eat. Her ideal evenings and weekends are spent having a houseful of guests enjoying good food, good wine, and good conversation. Shannon Warren grew up in rural Wisconsin and attended the University of Wisconsin-Madison, where she earned a B.S. in Conservation. After living in Alaska for several years, Shannon moved to Washington in the 80s in order pursue her Master's in Education at WWU, while setting up an alternative energy cabin on 20 acres in Skagit County. She began teaching at Oak Harbor High School in 1996 and spent the next six years implementing an Integrated Science program and teaching biology. In order to teach closer to home, she taught 7th and 8th grade science in Burlington for five years. Shannon spent 2007-2008 as a NCOSP TOSA, and 2008-2009 coordinating professional development for the OSPI funded science coaches and providing technical assistance to the state funded math science partnerships. Dan holds a joint Ph.D. in Educational Psychology and Research and Evaluation Methodology from the University of Colorado-Boulder. Dan (affectionately referred to as Data Dan) has over 10 years of experience evaluating science education programs for the National Science Foundation, the Colorado Department of Education, and Washington's Office of the Superintendent of Public Instruction (OSPI). 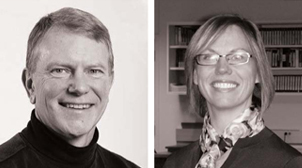 He was the recipient of a Fulbright Scholarship in 2001 and studied Norway's system of school-based evaluation. 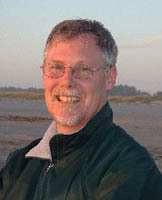 Since 2005, he has directed the internal evaluation team for the North Cascades and Olympic Science Partnership at WWU. When not working, Dan enjoys spending time in the great outdoors with his wife and two kids. Phil Buly, a.k.a. "Philly Cheesesteak" is the founding father of the NCOSP Minions. An elementary school teacher turned mad scientist/data enthusiast, Phil can often be found in SMATE plucking hair from unwitting victims to test its strength, blowing into bromothymol blue, testing the capabilities of GI Joe parachuters in the stairwell and bending the WASL data to his will. His other talents include interior design, music critique and eating an entire bag of corn chips (the Costco size) in one sitting. Jordon Weddle became NCOSP's resident computer geek in July of 2007 after moving to Bellingham from Portland, Oregon. While in Portland, Jordon earned a Master's in Education from Portland State University and taught High School Mathematics and Computer Science for 3 years at Liberty High School in Hillsboro. Prior to teaching, he had another career as a Software Engineer, working for Mentor Graphics and Portland State University. In his free time, Jordon enjoys knitting, throwing rocks, and embedding chocolate kisses within the framework of pancakes. Sarah Burnet grew up in Richland, Washington and is finishing her final year as a Huxley student focusing on a degree in Environmental Science and Chemistry. While working with NCOSP, she has easily made over 1000 binders and more binder tabs than she can count. In her spare time (though there rarely is any) she likes to relax with friends and enjoy a good cup of coffee. A native of Mexico, Dr. Acevedo-Gutierrez is interested in the behavior and conservation of marine mammals. He is interested in the teaching of science, particularly to groups underrepresented in the sciences. He was featured in the Academy Award nominated IMAX film "Dolphins" in 2000 and named MOSI Hispanic Scientist of the Year in 2001. He has given talks on being a scientist to over 170 schools and organizations. Emily Borda came to WWU in 2007. During the 2008 summer academy Emily was a postdoctoral research associate helping with NCOSP's research and evaluation efforts. She now teaches in the Chemistry Department and the Science Education group. She received her Ph.D. in organic chemistry and MEd in education leadership and policy from the University of Washington. Emily is interested in studying students' epistemological ideas about science (what scientific knowledge is and how it is generated and used). Through this research, she hopes to learn more about how to give students tools to critically analyze and interpret scientific information. 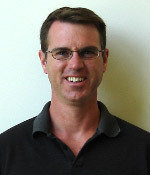 Andrew Boudreaux, completed his Ph.D. with the Physics Education Group at the University of Washington, studying student understanding of relative motion and frames of reference. He has been teaching introductory physics and astronomy courses at WWU for the past two years. During his time at UW and WWU, he has been involved in many special courses and workshops for pre- and in-service teachers using the Physics by Inquiry curriculum. Don teaches elementary methods and practicum with the Science Education group at WWU; his interests include pre-service teachers' views on the Nature of Science and children's understanding of the environment; a former middle school teacher and an accomplished field biologist, Don is renowned for his contagious enthusiasm for avian life, especially owls and chickadees. Marty is a retired high school principal, whose special interests are public school issues as they relate to teaching and learning. He has served actively in this and other communities on various boards and is currently a member of the Loving Brothers of Whatcom County. Mr. Chorba coordinates recruitment activities at WWU, within the school districts, and community colleges. He also had the lead role in establishing future teacher clubs in schools. 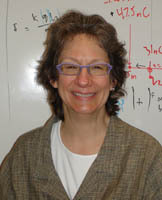 Susan DeBari, received her Ph.D. in Geology from Stanford University in 1990. As an assistant professor at San Jose State University, Dr. DeBari worked with in-service teachers in the NSF-funded Bay Area Earth Science Institute and the California Earth Science Academy. Since joining the Science Education Program and the Geology Department at WWU in 1998, Dr. DeBari teaches science methods classes for pre-service teachers and has led the Washington Earth Science Institute for in-service teachers. 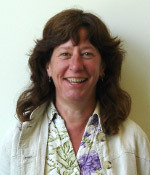 Deb Donovan, has been at WWU since 2001and teaches in the Biology Department and the Science Education group. She received her Ph.D. in Zoology from the University of British Columbia where she studied the energetics of marine mollusks, which is still the focus of her research. Prior to grad school, she was a high school chemistry teacher in San Bernardino, California. 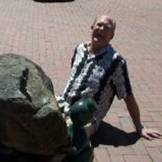 Bernie Dougan is a geology instructor from Whatcom Community College. Ben Fackler-Adams, is a volcanologist and basin analyst by training, but maybe he is a teacher by disposition. Since 1999 he has been Instructor of Interdisciplinary Sciences at Skagit Valley College in Mount Vernon, Washington, teaching chemistry, physics, and all aspects of Earth science. While at SVC, he has also team-taught “learning communities” that include Better Living Through Chemistry? (Chemistry Concepts and Global Issues - explores environmental issues like global warming and energy use/misuse), Feats of Clay (Geology and Ceramics), Written In Stone (Environmental Geology and English Composition), and Northwest Indians Rock! (Pacific Northwest Geology and Pacific Northwest Indian History). He is trying to migrate more and more to inquiry-based, experiential learning modes. Ben believes that understanding science allows people to better understand the systems that sustain and impact their lives. Understanding science and technology allows people to develop their critical thinking skills, and to be better, more responsible, more fulfilled global citizens. Rene Fester Kratz, is a Biology Instructor at Everett Community College where she primarily teaches microbiology, cell biology, and non-majors biology. Rene's formal academic training led to a Ph.D. in Botany from the University of Washington, but she's been informally learning everything she can about teaching and learning ever since she got bit by the teaching bug in grad school. As a member of NCOSP, Rene has helped develop and teach inquiry-based science curricula to non-majors that included pre-service elementary teachers. Paul Frazey is a chemistry instructor at Whatcom Community College. His research focus is on developing undergraduate chemistry texts and instructional technology. 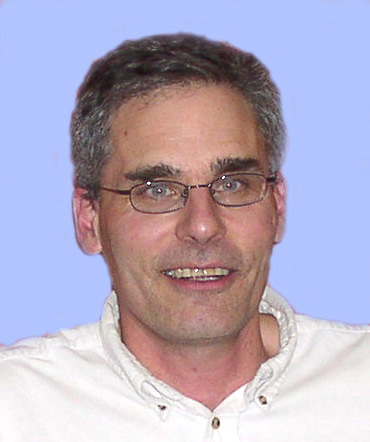 Steve teaches science methods and practicum as well as undergraduate and graduate chemistry. Has taught high school chemistry and has experience running numerous workshops for in-service teachers. Tom has been working with teachers of science, mathematics, and technology since Y2K. A science and mathematics teacher for 17 years, Tom has worked with teachers from across the country and across the borders. He likes designing and facilitating a wide variety of collaborative professional development strategies. His own research interests include microbiology and the use of remote sensing and statistics to examine global climate change. His current professional learning passions include leadership development, children's cognition, and the role of discourse in classroom and professional development settings. Sara Julin has been teaching Physics, Chemistry, and Astronomy since her “late hippie period” in 1978 at Lewis and Clark College, University of Portland, Pacific University, Fairhaven College, WWU, The Evergreen State College, and Whatcom Community College. Her main interest is teaching physics (or chemistry) to non-scientists or early scientist/engineering students. Robert Mitchell, was a US Department of Education Fellow at Michigan Tech University where he received his Ph.D. in Environmental Engineering in 1996. He also has degrees in geology, geophysics, and physics. 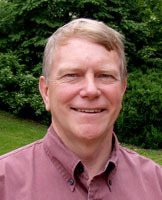 He has been a geology faculty member at WWU since 1996 and specializes in hydrology. Dr. Mitchell enjoys using mathematical and computer modeling to help students understand surface and ground-water concepts. 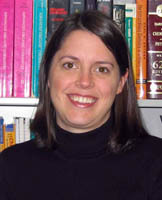 Andrea Motyka, has been an associate professor of mathematics at Peninsula College since 2004. She teaches precalculus and calculus courses, as well as statistics for the Bachelor's of Applied Science – Business Management. She is currently developing a mathematics course for elementary teachers. Her graduate studies examined female students' perspectives of mathematics, specifically the similarities and differences between mathematics majors and non-majors. Her current interests involve further exploration of students' perspectives and understanding of mathematics, as well as the impact of the integration of technology in teaching and learning mathematics. Prior to teaching at Peninsula College, Dr. Motyka was the Director of the Math Center at Washington College in Maryland. Val Mullen has been teaching majors biology courses at Skagit Valley College since 1987. While working with the North Cascades and Olympic Science Partnership she developed and co-taught an inquiry-based college biology course during the 2004-2005 school year. 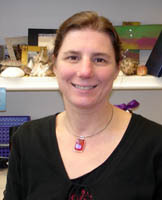 Pamela Pape-Lindstrom, is faculty in the Biology Department at Everett Community College. She earned a Bachelor of Science in Biology from the University of Miami in Coral Gables, Florida. Subsequently, she earned a Ph.D. in Biology from the University of South Carolina. Her studies at both the undergraduate and graduate level were focused on marine biology. Her dissertation research examined feeding ecology of subtidal predators-shrimps and crabs-on prey that lived burrowed in the mud-brittlestars. Fellow graduate students referred to her co-workers and her as “mud-muckers”. She still enjoys mucking about in the mud! At Everett Community College, she teaches a variety of courses, including cell biology for allied health/biology majors; zoology for biology majors; environmental science for non-majors, ecology (alternate fall quarters) for non-majors and marine biology (alternate spring quarters) for non-majors. She also serves as an advisor for biology and environmental science transfer students. She has recently been the lead faculty member in charge of redesigning the biology curriculum for majors’ level transfer courses. Terri Plake is a faculty member at Northwest Indian College, where she has taught geology courses since 1998. She designed and taught a “place-based” introductory geology course that promotes learning through experience to reconnect students with the place we live and to understand stories behind the scenery. She serves as co-advisor for the NWIC chapter of the American Indian Science and Engineering Society. Her college teaching experience also includes teaching geology courses at Western Washington University for over 10 years and for several years at Whatcom Community College. In 2002, Terri shifted gears by becoming a certified high school teacher to fulfill a desire to teach and inspire the young ones. Her experience in public schools includes teaching 9th grade science and serving as a substitute teacher in Whatcom and Skagit County middle and high schools, quite a switch from teaching college! A passion of hers is in figuring out ways to inspire students to want to learn science, especially those who tend typically to “fall through the cracks.” During her “spare” time, she can be found with her dog, Manu, in or around Lake Padden, or riding her horse through 100-Acre Woods. A recent convert to the “shoeless” horse camp, she continues her love for life-long learning by learning the art of hoof trimming, as long as her back holds out. Combining her passion for horses and working with at-risk youth, she volunteers with Animals as Natural Therapy in a program centered on healing hearts through horses. She is very excited to be a part of the NCOSP Partnership and from her experience with Lesson Study believes that it provides a powerful process that encourages teacher collaboration and a great opportunity to observe students learning science. John has been fortunate enough to have two major careers in his life. Following his Ph.D., he did research at the University of Florida for nearly ten years. There he studied he physiology behind the fascinating (at least to him) symbiosis that occurs between forest-tree roots and certain fungi growing in the soil. Approximately eleven years ago, he decided to leave the research world to help found a brand new community college just outside Houston, Texas. For the past seven years John has thoroughly enjoyed teaching introductory biology courses at Whatcom Community College. Dennis Schatz is Senior Vice President for Strategic Programs at Pacific Science Center in Seattle, Washington. A research solar astronomer prior to his career in science education, he worked at the Lawrence Hall of Science at the University of California, Berkeley, prior to moving to Seattle in 1977. He is the author of 21 science books for children that have sold almost 2 million copies worldwide and have been translated into 23 languages. He is also co-author/editor of several curriculum resources for teachers, including Astro-Adventures, Universe At Your Fingertips and More Universe At Your Fingertips. He provides leadership to several of Pacific Science Center's major initiatives. He co-directs Washington State LASER (Leadership and Assistance for Science Education Reform), a program to implement a quality K-12 science program in all 295 school districts in Washington State. The Portal to the Public effort is a new initiative to develop programs—both onsite and off—that engage the public in understanding the current science research being conducted in our community. The first major Portal to the Public program is an NSF grant to develop and research effective models to engage the public in understanding current science research via face-to-face interactions with scientists. He has received numerous honors, including the 1996 Distinguished Informal Science Educator Award from the National Science Teachers Association (NSTA). He recently received NSTA's 2005 lifetime achievement award (Distinguished Service to Science Education). In 2006 ASTC made him an ASTC Fellow for his lifetime achievement in service to the field and furthering the public's understanding of science. He is only one of 24 ASTC Fellows awarded in the history of ASTC and the first non-CEO or public official to receive the award. In 2009, he received the Faraday Science Communicator Award, presented annually by the National Science Teachers Association (NSTA). This award recognizes and honors an individual or organization that has inspired the public's interest in and appreciation of science. He joins an elite group of highly prestigious honorees: last year's winner was the PBS series NOVA, and in 2007 the award was presented to NPR Science Correspondent Ira Flatow. Dr. Smith is a faculty member in the Physical Sciences department at SVC, teaching introductory courses in earth sciences and physics. Before moving to Skagit, Dr. Smith taught and performed research at several universities, with research on mineral and rock deformation conducted in Antarctica, Greece, the Alps, western North America and the mantle, as well as investigations of the atomic structure of lunar and meteorite mineral samples. He has evolved into someone more interested in teaching and learning than in crystal defects: Dr. Smith serves on the La Conner School Board and has served on many state and regional commissions and projects in science education, including NCOSP from its early days. Away from school he enjoys zymurgy, sea kayaking and boating with his wife and dog, and many other outdoor activities. Tamara Smith has worked as a Mathematics Professional Development Specialist at the Olympic ESD 114 for three years. She works with teachers in many different contexts to improve instruction through developing effective collaborative practices and professional learning communities. In 1987, Tamara received her B.S. from Cornell University in Landscape Architecture; Tamara worked as a designer for 10 years before pursuing a Master's Degree in Mathematics Education. Tamara taught high school mathematics and technology education in Maryland for 6 years, then one year as an adjunct at Peninsula College before starting her work at the ESD. Jim Stewart, is a professor physics/astronomy; physics/science education; former elementary teacher; Fulbright Scholar in Chile, 1999; Eisenhower summer inquiry-based in-service programs “Operation Physics” 1990-2000, “Science Teaching and Mentoring Program” 2001, “Constructing Physics Understanding”, 2001-2002; teaches science and society, elementary and secondary science methods and supervises secondary science student teachers. 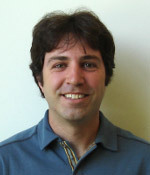 Jeff Zirul is a Physics instructor at Peninsula College. Ann Zukoski is a Physics instructor at Skagit Valley College. Kathleen Darrow-Joiner (aka Kathy) grew up in Clear Lake, Washington, where she has returned to her roots. At an advanced age she received her Bachelor's Degree in Elementary Education from Northwest Nazarene University and her Master's Degree in Elementary Science Education from Western Washington University. A highlight of her Master's tenure was two weeks spent in the wilderness area of east central Idaho doing a flammulated owl survey. Although the owls keep unspeakable hours, the experience was a highlight because the owls and Kathleen appreciate the same environment: 80 degree weather, old-growth pine forests, and the middle of nowhere. To expand her education, she attended the Educational Leadership in Math and Science program at the University of Washington, did a summer internship as an educational consultant at Snohomish County Public Utility District, and took part in summer environmental-economic studies in Finland, Estonia, and Russia. Kathleen has taught for 19 years at the 2nd, 3rd, and 5th grade levels and has facilitated science in-services for teachers. Lately, when she is not in school she is laying new floors, wiring receptacles, wiring light fixtures, mudding sheetrock, painting walls, and building cabinets for her never-ending project called a house. She would rather be camping, kayaking, white-water rafting, or just basking in the sun by the water with her two favorite people: thirteen-year-old grandson, Kelson, and ten-year-old granddaughter, Katherine. Mike D'Hondt grew up in Tacoma, Washington, where he enjoyed participating in sports and mixing chemicals. He recieved his Bachelorss Degree in Education, with an in-depth study in science, from Western Washington University in 1983. Upon graduating he promply decided to stay put and began working for the Bellingham School District teaching 4th and 5th graders at Larrabee Elementary School. In 1989 he moved to Happy Valley Elementary School and also began coaching football at Whatcom Middle School. Mike received his Master's of Education from City Universitry in Curriculum and Instruction with an emphasis in Educational Technology. Recently, he has served as a science coach and small group facilitator at Happy Valley and Sunnyland Elementary schools implementing new understandings about science teaching in the classroom. Mike and his wife, Lisa, have a 17-year-old son and a 14-year-old daughter. Currently, he is learning how to talk to teenagers and now realizes his knowledge base is small, indeed. Aside from watching a student construct new meaning during a lesson, Mike enjoys catching a trout that is silly enough to bite the fly on the end of his line. Brian MacNevin hails from Irvine, CA, but he's lived in Whatcom County since 1998 and so he's recovering nicely. He spent his junior year as an exchange student in Schleswig-Holstein, Germany, graduated from Irvine High, then attended the University of California San Diego's Revelle College where he received his BS in Animal Physiology and Neuroscience and a minor in German literature. Inspired by marine biology, Brian worked at the Orange County Marine Institute where he taught environmental outdoor education, wrote curriculum and designed and implemented marine science based professional-development activities for in service teachers. He moved to Bellingham to pursue a Master's degree in Biology and taught and helped develop introductory biology labs with WWU's biology department; but his research into the comparative properties of digestive enzymes of slugs helped him realize how much he missed working with kids and teaching. Hoping to impact science education especially at the earlier levels, he now teaches at Shuksan Middle School in Bellingham. He has participated in NCOSP Summer Academies as well as Physics-By-Inquiry Summer Institutes offered by the Physics Education Group at UW. The Pacific Northwest has changed Brian's life and during his first quarter at WWU, he met the woman who would become his wife: his botany TA, Alexis! They celebrated their daughter, Emilie's arrival, last October. Kacey Uptegraft grew up on an organic apple and raspberry farm in Puyallup, WA. She enjoyed her horses, ducks, and chickens; however, her family didn't like it when she thought it best to bring them all into the house. (She was only caught a few times.) She pursued her Bachelors Degree at WSU, where she could take her horse, ride in the fields and continue her desire to be the best equestrian on the WSU Horse Show Team. The best equestrian thing didn't happen, but she enjoyed volunteering for the Veterinary College, and riding her horse every day. Since then, she has taught for 15 years. For the last four years, Kacey has been serving in many leadership roles as an Instructional Coach, an NCOSP Teacher Leader and six other taskforces/teams ranging from coaching, instruction, and assessment. Since eight roles (other than teaching full time) weren't enough, she became a SALTer for OSPI and a consultant for a publishing company. She is currently working on her Master's in Science Curriculum & Instruction at WWU. In the meantime, Kacey continues to give garden tours at her house as fundraisers for the community after being in many publications and is impressed when Cisco Morris attends! Her husband, Darrell and her two dogs have enjoyed the gardening until everyone turned up lame. Her little Yorkie has been diagnosed with arthritis, her Corgi has an anxiety disorder, and her husband has a bum knee. Her husband complains that it's ruining his golf game, but Kacey secretly thinks of it as an equalizer when she's on the course with him. Perhaps, golf lessons would be a better choice. Sherry Schaaf grew up in Southern California and escaped to Washington State a rather long time ago, and has not looked back since. She and her husband moved to Forks on the Olympic Peninsula many moons ago, drawn by the isolation, beauty, and jobs. She has taught science in various capacities in Forks for more years than she can believe, including 7 years as the district Science Coordinator. Her favorite teaching environment is middle school, as she enjoys the bizarre and crazy behavior of adolescents and likes to be constantly on the move when working. She received her degree in zoology and her teaching certification from the University of Washington and her Master's in Curriculum and Instruction from Lesley College. Sherry has been involved in science education reform efforts for many years, as an active member and former President of the Washington Science Teachers Association, a presenter at local, state and national science teacher workshops and conferences, and as a member of SALT, the Science Assessment Leadership Team for OSPI. Her passion is advocating for quality science for all students at all grade levels to prepare them for the increasingly scientific world in which they will live and work, and showing them at the same time the fun and excitement of science itself. Sherry is the mother of one son, John, who recently graduated from Western and lives in the Bellingham area, sharing his mom and dad's passion about education and learning. Sherry enjoys driving (if you live in Forks, you must love to drive! ), traveling (especially to the deserts of the southwest and to Mexico), playing at being a geologist and amateur astronomer, and relaxing in her greenhouse and garden and keeping her dog out of both. Dave Lewis has been teaching science at Mount Baker High School for the past eight years. Starting his college education late as a stellar student at The Evergreen State College, he graduated with a BS in Geology from University of Washington in 1994. After a couple of stints working as a field geologist for the USGS in SW Washington, the North Cascades, Molokai, and on Mount Rainier, Dave promptly got a retail job selling guitars, banjos and didgeridoos. Realizing that teaching science was a lot better than working in a retail store, Dave earned a Master's in Education from Western Washington University in 1997. Dave is well tolerated by his 4 year old son Cameron, his 7 year old daughter Margot, and his smart and lovely wife Lisa. Dave loves to spend time pursuing outdoor sports like nordic skiing, mountain biking and golf; he started playing ice hockey again after a 20 year hiatus. Dave also plays many musical instruments poorly and designs and builds stringed musical instruments. Karen Lippy has taught 25 years, 21 of them for the North Mason School District. She developed the environmentally-themed science and community service learning program sited at the Hood Canal Wetlands and has been nationally recognized for these efforts. Karen graduated from Washington State University so long ago that she also had the opportunity to teach every science course imaginable, plus German, Sewing and Math. She also has taught at Olympic College and as a trainer of trainers for the Washington Departments of Ecology and Fish & Wildlife. Karen has lived in Belfair with her husband and two daughters since 1988. She is a mosaic and fiber artist, when she isn't singing back-up for her husband's garage band or working on the never-ending remodeling project she lives in. Dale Fournier grew up in Massachusetts and after a steady westward migration ended up in LaConner where she lives with her husband and her dog. She received her Bachelor's Degree in Earth Science/Geology from Bridgewater State College in Massachusetts, and did graduate work in Anthropology/Archaeology at the University of Arkansas. After doing field archaeology, mostly in Illinois and Arizona, for 10+ years, she went back to school to get her teaching certificate. She received her teaching certificate from Central Washington University in 1994. Her first year of teaching was 8th grade science and math. In order to save her sanity, and be with students who share her sense of humor, she moved to elementary school. She has taught 5th and 6th grade in Mount Vernon for the past 8 years. She has been involved in the School Improvement Process in her building and science curriculum adoption at the district level. Jim Simpson has been teaching middle school science since 1993 at Cascade Middle School in wonderful Sedro-Woolley (Gateway to the North Cascades). He received his teaching degree at the University of Texas and immediately left the flatlands, bluebonnets, and armadillos for the mountains, tall conifers, and black bears. He has never regretted the change of scenery. Jim received his Master's Degree in Creative Arts from Leslie College and has been involved in the LASER project since its inception and has been a leading voice in the adoption of new curriculum for the 7th grade program. Jim's hobies are reading, backpacking, tennis, and living the good life. Roger Mills grew up in Greeley, Colorado. 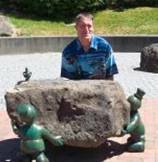 He moved to Salem, Oregon to attend Willamette University where he earned his undergraduate degree. He moved back to Colorado after graduation and was fortunate to meet a fabulous woman at the restaurant he was managing. During a weak moment 17 years ago she agreed to his marriage proposal. Shortly thereafter Roger enrolled at the University of Northern Colorado and earned his teaching credentials. His first four years of teaching were in Greeley where he taught 6th and 7th grade science. Ten years ago the Mills family, which by this time included a daughter, moved to Port Townsend where Roger has been teaching 6th grade science at Blue Heron Middle School ever since. When he isn't teaching Roger can usually be found at home reading or fiddling with the computer, playing golf, fishing, or occasionally doing something useful around the house. Chris Carty grew up in New York City and attended Hunter College High School. She received her Bachelor of Science degree, almost in biochemistry, from Cornell University. After graduation she joined the National Oceanic and Atmospheric Administration (NOAA) as a commissioned officer, where she was a line officer on the research ships Researcher and Miller Freeman, worked for the Atlantic Environmental Group, the Marine Ecosystem Analysis team, the Spilled Oil Response Team, and began a project studying Prince William Sound. She resigned after six years, and traveled in the U.S. and Canada for a year with her truck, bicycle, and collapsible boat. After settling in Seattle she worked as a rafting guide and a bartender, then attended the UW to receive her teaching certificate. She taught 6th grade in Shoreline for nine years, then moved to Alger where she currently lives with her husband and two dogs in a log house on five wooded acres adjoining state forest. She has taught in Bellingham for the past thirteen years; one year at 1st grade, and six loops of 4th and 5th grade. She received her Master's degree in Science Education from Western Washington University in 2007. Mary Janda has lived with her husband and children in the North Cascades town of Marblemount for over 25 years. What started as a purchase of property and weekend visits soon became a lifetime building project of a cabin, schoolhouse, shop, fishponds and a hydroelectric plant. She graduated from WWU with a major in Speech and minor in Elementary Education and returned two years later for a Master's Degree in Elementary Education and a minor in Environmental Ed. Mary gave up her short teaching career of three years to stay home with her five children and home school in the wilderness. She decided after twelve years of home schooling to return to the classroom at Concrete Middle School in 1991 teaching a variety of subjects. Mary received administrative credentials in 1999 and was Principal of the middle school as well as a Science teacher for four years. A decision to return fulltime to the classroom in 2003 allowed Mary to follow her love of teaching Science and relate that learning to the local environment which would involve students in their community. Mary started a 4H group this year that learned about GPS and a community-mapping project. A partnership was formed with the Fisheries Enhancement group and the Science classes have worked with the National Park Service. Lois Sherwood earned a Bachelors of Science in Zoology and teaching credentials from Washington State University (Go Coug's). After working as a medical assistant and receptionist for several years, she attended University of Washington (Go Huskie's) to recertify in secondary science education. Later she returned to Washington State University (Go Coug's), earning a Master's of Science in Biology. She began her education career working in community based environmental education and teaching at both the Poulsbo Marine Science Center and Port Townsend Science Center. Since 1991 she has taught Marine Biology, Health, Biology and Math and Integrated Science at Port Townsend High School. She has served as an adjunct professor with City University, teaching elementary science methods for their M.I.T. program at the Port Hadlock campus. Lois is currently the Region 9 representative with WSTA. When not teaching, you can find Lois jogging, biking, birding, gardening or volunteering with Habitat for Humanity. Fred Akins grew up in Seattle and Tacoma and now lives in Port Townsend with his wife and three daughters. He graduated from WSU a long time ago taking pre-veterinary classes, and worked at a homeless shelter for families in San Francisco for eleven years. Three of those years were teaching in the shelter's school program. He received his teaching credential from San Francisco State University and has since taught elementary school in Poulsbo and Chimacum for eleven years and Science at Chimacum Middle School for two years. Favorite quote: "You can't scare me; I have teenagers." Susan Kagel has taught 4th and 5th grades at Silver Beach Elementary School in the Bellingham School District over the past five years. 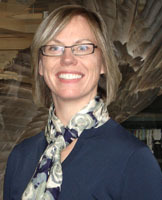 Prior to teaching, Susan worked in various environmental fields. These experiences included conducting stream surveys with the Washington State Department of Ecology as well as teaching environmental education in Maine and on San Juan Island. Susan graduated from the University of California, San Diego and received her Master's Degree in Environmental Studies from The Evergreen State College. She enjoys working with elementary school-age children as they are excited to learn about the world around them and ask amazing questions. When not teaching, Susan can be found pulling weeds in her garden, volunteering at the Whatcom Humane Society, or trying to identify the birds feeding at her backyard feeders. Caroline Baldie has been teaching middle school in the Burlington-Edison School District since 1990. Before moving to the Skagit Valley she taught in Bellevue and Snoqualmie Valley. Caroline received her Bachelor of Arts degree from the University of Washington and her Master's of Elementary Administration from Western Washington University in 2002. She has been very involved in curriculum adoption, the School Improvement Process and technology integration at the building and district levels. Her hobbies include reading, beach combing, cooking, gardening, walking, and traveling. Jeff Ryan; Jeff has a multifaceted background in science education, which includes experiences in both formal and informal settings. Most recently Jeff has been supporting science education on the Olympic Peninsula through multiple professional development programs (NCOSP, Olympic MSP, LASER). He has been working closely with Tamara Smith to launch the Olympic Mathematics and Science Partnership in 2007-8. Before and after working in the first TOSA cadre of NCOSP, Jeff taught middle school science in Crescent School District. If we could go way back in time, we might have seen Jeff roaming the state of Washington as part of the Pacific Science Center's "Science on Wheels" program. Perhaps he visited your school? Jeff is completing his Master's program at WWU this year, and is on the faculty of the LASER Strategic Planning Institute. Jeff has a passion for exploring the outdoors and understanding environmental issues.